Brothers Transportation and Warehousing Inc.
Transportation & Logistics Is Our Business. Welcome and thank you for choosing Brother's Transportation & Warehousing Inc. We realize that our customers value great service at reasonable rates, so we work hard to be fuel and time efficient so that we can provide you with the lowest rates possible. We are a Trucking & Warehousing company based in Baldwin Park, CA. Our trucking services include FTL, LTL, Oversize & Overweight transportation Coast to Coast. We provide pick-up and delivery services 24 hours a day, 7 days a week. Our Teams & Solos have a 98% on time rate. Among the equiptment we provide are 53FT air ride vans with tracking, and 20 Peterbilt, Kenworth, and Freightliner (2014 thru 2016) trucks. See our Transportation page for more detailed information. Our warehouse at the Baldwin Park, CA. 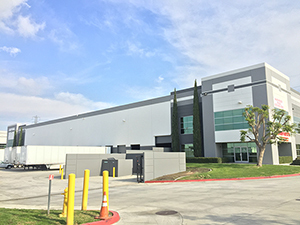 location is a 4 dock, 10,000 sq ft warehouse and our Ontario, CA. location is an 8 dock, 40,000 sq ft warehouse. Our services include transloading, long & short term storage, container trailer breakdown, local P&D and any other related services our customers require. Our Dispatch and warehouses are fully staffed. See our Warehousing page for more detailed information. For more information, please contact Larry Curtis at 530-383-8225 or Charlie Zhang at 626-602-5577 - to reach us by email, please use our Contact Form. Thanks. Email: Use our contact form and we'll get back to you within 24 hours! © 2017 Brother's Transportation and Warehousing, Inc. All rights reserved. Brands, trademarks, and images, where used, are the property of their owners. Website by MyBrotherSteve.com Computer Services.